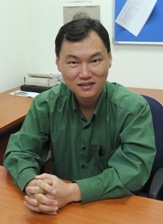 Dr. Paul joined Monash University, Malaysia in December 2009 as an Associate Professor in E-Business. Prior to joining, he was an Associate Professor in Multimedia University. He has 20 years’ experience in teaching and research in E-Business, Social Media, Human Factors and Ergonomics, Quality and Operations Management, and Research Methodology in BBusCom, BBA, B.Acc., MBA and MIB degree programs. * Consumer sentiment towards green products e.g. green computers, sustainable palm oil, etc. * What are the cognitive processes of consumers in deciding sustainable consumption behaviour at the acquisition, use and disposal stages? * How to address complex sustainability issues, particularly those related to environment degradation and social injustice? *How businesses can leverage on e-business technology e.g. social media/networks, artificial intelligence and Industrial Revolution 4.0 technologies? His key achievements include (1) 42 rank journals; H-Index=20; 1353 citations; (2) 14 research and invention awards, including the prestigious Monash University’s Pro-Vice Chancellor (PVC) Research Awards, Gold Medal in the Belgian and International Trade Fair for Technological Innovation, Gold Award in International Invention, Innovation & Technology Exhibition (ITEX 2008), and Research Scholarship, National University of Singapore; (3) 16 external and internal research project grants; (4) 5 PhD and 3 MPhil graduated; (5) Held major posts such as Head of Discipline (Marketing), Coordinator of E-Commerce/E-Business Programme, Coordinator of Bachelor of Business and Knowledge Management, and Head of Ergonomics Research Centre; (6) A member of editorial board of Applied Ergonomics (A* journal); (7) Registered one patent and recently filed two others. (8) Achieved twice aspirational teaching level (>4.7 out of 5). Operations Management and Human Factors: Quality, productivity, cost, safety and human factors issues in production and logistics; Web usability studies; mobile phone usability studies; smart cards implementations; safe design, human factor and sustainability; hand rests design; and human factors in manufacturing. Eklund, J.A.E., & Yeow, P.H.P. (2015). Integrating Ergonomics and Quality Concepts. In J.R. Wilson and S. Sharples (Eds. ), Evaluation of Human Work. 4 edition, pp. 931-956, CRC Press, US. Cheah, S.K.E., Yeow, P.H.P., Nair, S., Tan, F. (2018) Behavioural-modification framework to address wastage in household electricity consumption, Ergonomics, 61(5), 627-643. Loo, H.S., Yeow, P.H.P. (2015). Effects of two ergonomic improvements in brazing coils of air-handler units. Applied Ergonomics, 51, 383-391. Vogel, K., Karltun, J., Yeow, P.H.P., Eklund, J. (2015). Increased work pace is unprofitable: A beef-cutting case study. Meat Science 105, 81-88. doi: 10.1016/j.meatsci.2015.03.009. Sharif, H.M., Yeow, P.H.P. Ahmad, K., Hashemi, J.H. (2013). Development of a Low-Cost Ergonomic Armrest. Ergonomics in Design, 21(4), 4 - 12. Yeow, P.H.P., Yuen, Y.Y, Loo, W.H. (2013). Ergonomics issues in national identity card for homeland security, Applied Ergonomics, 44, 719-729. Erdinç, O. & Yeow, P.H.P. (2011). Proving external validity of ergonomics and quality relationship through review of real-world case studies, International Journal of Production Research, 49 (4), 949-962. (Publisher: Taylor and Francis, UK; Thomson ISI). Yuen, Y. Y., Yeow, P. H.P., Lim, N. & Saylani. N. (2010). Internet Banking Adoption: Comparing Developed and Developing Countries. Journal of Computer Information Systems, 51(1), 52-61. (Publisher: Oklahoma State University College of Business, USA; Thomson ISI journal; Scopus journal). Balakrishnan, V. & Yeow, P.H.P. (2010). Determining the predictors and a cross-gender analysis for messaging satisfaction. Human IT 11 (1), 29–54. (Publisher: University College of Borås; Scopus journal). Loo, W.H., Yeow, P.H.P. & Chong, S.C. (2009). User acceptance of Malaysian government multipurpose smartcard applications. Government Information Quarterly, 26, 358-367. (Publisher: Elsevier; Thomson ISI). Nathan, R.J. & Yeow, P.H.P. (2009). An empirical study of factors affecting the usability of websites for student Internet users. Universal Access in the Information Society 8 (3), 165-184 (Publisher: Springer; Scopus journal). Yeow, P.H.P. & Loo, W.H., (2009). Acceptability of ATM and transit applications embedded in multipurpose smart identity card: An exploratory study in Malaysia. International Journal of Electronic Government Research, 5 (2), 37-56 (IGI Publishing; Scopus journal). Balakrishnan, V. & Yeow, P.H.P. (2008). Hand measurements and gender effect on mobile phone messaging satisfaction: A study on keypad design factors. International Journal of Technology and Human Interaction, 4(4), 53-66. (Publisher: IGI Publishing; Scopus Journal). Yeow, P.H.P., Yuen, Y.Y. and Connolly, R. (2008). Mobile phone usage in a developing country: A Malaysian empirical study. Journal of Urban Technology, 15(1), 85-116 (Publisher: Taylor & Francis, UK; Thomson ISI journal). Balakrishnan, V. & Yeow P.H.P. (2007). SMS usage satisfaction: Influences of hand anthropometry and gender. Human IT, 9 (2), 52-76. (Publisher: University College of Borås; Scopus journal). Balakrishnan, V. and Yeow, P.H.P. (2007). Texting satisfaction: does age and gender make a difference? International Journal of Computer Science and Security (USA), 1 (1), 85-96. (Publisher: CSS Journals, US). Yeow, P.H.P., Loo, W.H., & Chong, S.C. (2007). Accepting multipurpose “smart” identity cards in a developing country. Journal of Urban Technology, 14 (1), 23-50 (Publisher: Taylor & Francis, UK; Thomson ISI journal). Talukder, M. & Yeow, P.H.P. (2007). A comparative study of virtual communities in Bangladesh and the USA. Journal of Computer Information Systems, 47(4), 82-90. (Publisher: Oklahoma State University College of Business, USA; Thomson ISI journal). Chong, C.W., Chong, S.C., & Yeow, P.H.P. (2006) KM Implementation in Malaysian Telecommunication Industry: An Empirical Analysis. Industrial Management and Data Systems, 106 (8), 1112-1132 (Publisher: Emerald, UK; Thomson ISI journal). Talukder, M. & Yeow, P.H.P. (2006). A study of technical, marketing and cultural differences between virtual communities in industrially developing and developed countries. Asia Pacific Journal of Marketing and Logistics, 18(3), 184-200 (Publisher: Emerald, UK, Cabell’s Directory). Yeow, P.H.P. & Sen, R.N. (2006). Productivity and quality improvements, revenue increment and rejection cost reduction in the manual component insertion lines through the application of ergonomics. International Journal of Industrial Ergonomics, 36(4), 367-377. (Publisher: Elsevier Science B.V., Amsterdam; Thomson ISI journal). Yeow, P.H.P. & Sen, R.N. (2004). Ergonomics improvements of the visual inspection process of a printed circuit assembly factory. International Journal of Occupational Safety and Ergonomics, 10, 365-381. (Publisher: Central Institute for Labour Protection, Poland; Thomson ISI journal). Yeow, P.H.P. & Sen, R.N. (2003). Quality, productivity, occupational health and safety and cost effectiveness of ergonomic improvements in the test workstations of an electronic factory. International Journal of Industrial Ergonomics, 32, 147-163. (Publisher: Elsevier Science B.V., Amsterdam; Thomson ISI journal). Sen. R.N. & Yeow, P.H.P. (2003). Ergonomic weighted scores to evaluate critical instructions for improvements in a printed circuit assembly factory. Human Factors and Ergonomics in Manufacturing, 13, 41-58 (Publisher: John Wiley & Sons, US; Thomson ISI journal). Sen, R.N. & Yeow, P.H.P. (2003). Ergonomic study on the manual component insertion lines for occupational health and safety improvements. International Journal of Occupational Safety and Ergonomics, 9, 55-72. (Publisher: Central Institute for Labour Protection, Poland; Thomson ISI journal). Sen, R.N. & Yeow, P.H.P. (2003). Costs effectiveness of ergonomic redesign of electronic motherboard. Applied Ergonomics, 34, 453-463. (Publisher: Elsevier Ltd.:US; Thomson ISI journal). Thatcher A., Waterson P., Todd A., Yeow, P.H.P. (2018). The way forward for human factors/ergonomics for sustainability. Proceedings of the 20th Congress of the International Ergonomics Association (IEA 2018), Volume IV: Organizational Design and Management (ODAM), Professional Affairs, Forensic Series: Advances in Intelligent Systems and Computing, Florence, France, August 26, 2018. Springer Nature: Switzerland, pp. 616-625. Yeow, P.H.P. and Loo, W.H. (2018) Encouraging responsible computer consumption at the disposal stage. Proceedings of International Conference on Business and Information (BAI 2018-Winter), 23-25 January, 2018. Okinawa, Japan, pp. 712-729. Yeow, P.H.P. and Balakrishnan, V. (2007). Health effects on Malaysian youths due to mobile messaging. Proceedings of the International Conference on Ergonomics 2007 (pp. 28-30), 3-5th December, 2007, Hotel Istana, Kuala Lumpur, Malaysia. Loo, H.S. and Yeow, P.H.P. (2007). Ergonomics intervention in the manufacturing of air handler coil assembly. Proceedings of the International Conference on Ergonomics 2007(pp. 324-328), 3-5th December, 2007, Hotel Istana, Kuala Lumpur, Malaysia. Zakerian, S.A. and Yeow, P.H.P (2007). A study of psychosocial work factors affecting musculoskeletal disorders and work stress of clerks with heavy computer usage. Proceedings of the International Conference on Ergonomics 2007(pp. 197-201), 3-5th December, 2007, Hotel Istana, Kuala Lumpur, Malaysia. Loo, H.S. and Yeow, P.H.P. (2008). Ergonomic improvements in the brazing of air handler coil assembly (Abstract). Proceedings of the 9th South East Asia Ergonomics Society (SEAES 2008) conference, 21 – 24th October, 2008, Bangkok, Thailand. Zakerian, S.A., R.N.Sen, & Yeow, P.H.P. (2007). Assessment of psychosocial work factors and musculoskeletal disorders experienced by computer users in a public university in Malaysia (poster). Proceedings of the 12th International Conference on Human-Computer Interaction, 22-27 July, 2007, Beijing, China. ISBN 978-3-540-7373-8. Zakerian, S.A. and Yeow, P.H.P (2007). The prevelance of computer-related musculoskeletal complaints of clerks in a public university in Malaysia. Proceedings of the 10th Conference and Exhibition for Occupational Safety and Health (COSH 2007), 22-27th August, 2007, Genting Highland Convention Centre, Pahang, Malaysia. Monash-Industry Palm Oil Research Platform (MIPO) Industry Linkage Support Scheme. Winner of two awards in Monash University Malaysia Doctoral Colloquium, 28-30/9/2013, Melaka. 2) Best research degrees pathway presentation. Investigating the Technological, Organizational and Environmental Influence on the Adoption of Audit Firms; (PhD). Best Invention Award in the category of Building & Construction, 19th International Invention, Innovation & Technology Exhibition (ITEX 2008), 9-11 May, 2008, Kuala Lumpur. ITEX Gold Medal, 19th International Invention, Innovation & Technology Exhibition (ITEX 2008), 9-11 May, 2008, Kuala Lumpur. Malaysian Invention and Design Society (MINDS) & Ministry of Science, Technology and Innovation, Malaysia. Research Excellence Award for being the best researcher in Faculty of Business and Law in 2007. Letter of commendation from Director of Teaching (Dept.of Marketing) for perfect 5 on question 5 in SETU scores. Letter of commendation from PVC (Learning and teaching) for excellent unit evaluation result. Liberty Mutual’s Bronze Contributor Prize for contributions to scientific discussion at CybErg International Conference 1999. Curtin University of Technology and Congress West, Australia. Presented in International Conference of Sustainable Development: What Have We Learnt After 30 Years? 29 September 2014, Monash University Malaysia. SETA strength. Published abstract entitled: Yeow, P.H.P., Loo, W.H. and Eze, U.C. (2014). Modelling Responsible Use of Computer (RUC) Behaviour for a Sustainable Future. Proceedings of International Conference of Sustainable Development. Attended and presented in Marketing Writing Retreat, Ipoh, 1-3 October 2014. Chair of Seeding Fund Evaluation: November – December 2014. Gave comments and evaluated 8 seed grant applications. Led the team in this exercise. Presented in School of Business ECR Seminar entitled “Tips on Applying for External Grants” on Friday, 12 July 2013 at 3-4PM in Meeting Room 2, Building 6, Level 5 (6-5-36). Presented a seminar entitled “Internet Marketing Strategic Planning Process” in Acer’s Asia Pacific Conference, May 31- June 1, 2012, Sunway Resort Hotel, Bandar Sunway, Selangor. The audience: Acer’s Asia Pacific IT/IS managers and CIO. Presented in School of Business Research Seminar Series a paper entitled “Organization Consumer Acceptance of Malaysia Identity Card (MyKad) Fingerprint Recognition System” on Wednesday, 11 January 2012 at 12pm in Meeting Room 2, Building 6, Level 5 (6-5-36). Guest Speaker for MUSC MBIS lecture for “E-Business” unit on 30 August 2012. Two topics presented, i.e. “E-Business Research” and “Organizations Consumer Acceptance of Malaysia Identity Card (MyKad) Fingerprint Recognition System”. Session Chair and in the Panel of Judges for Presentation 4 (Dec. 2, 2011) in Doctorial Consortium 2011, Monash University Sunway Campus, School of Business, Dec. 1-3, 2011, Hotel Renaissance, Melaka. Technical committee in ASIA PACIFIC SYMPOSIUM ON ADVANCEMENTS IN ERGONOMICS AND SAFETY (ErgoSym 2011), 5-6 December, 2011, Kangar, Perlis. 16 Dec 2013, 1.30-2.30PM: “Overview of my research and ergonomics journal impact”, Research Seminars, Royal Institute of Technology (KTH), Sweden. 12 May 2014, 1-2PM: “Ergonomics improvement in a harsh environment using an audio feedback system”, Royal Institute of Technology (KTH), Sweden. 12 May 2014, 2-3PM “IT-assisted equipment safety checks system to improve compliance: A case study at a distribution center”, Royal Institute of Technology (KTH), Sweden. 26 May 2014, 09.15-10.00 AM: “TQM/ISO9000 and Ergonomics practice in Malaysian industry”, Royal Institute of Technology (KTH), Sweden. Submitted a special issue proposal to an A* journal , i.e. Applied Ergonomics (as a guest editor). The proposal was accepted after several revisions. The issue is entitled “Human Factors for a Sustainable Future” (Appendix D) and will be published in 2015. I am targeting two articles. Evaluated a PhD thesis from Curtin University, Australia entitled “Toward a Comprehensive Conceptualization of the Digital Divide and its Impact on e-Government System Success: Evidence from Local Governments in Indonesia”.